“And thus ended the twenty and fifth year of the reign of the judges over the people of Nephi. And thus ended the days of Amalickiah” (Alma 51:37). Taylor Halverson noted, “In the ancient Near Eastern culture, … New Year’s Day was the time when the king of the land would sally forth to demonstrate his vitality and liveliness to successfully rule as a king for another year.” As one can imagine, awaking to find the king dead on such a day could not be a good sign. In fact, it was almost certainly interpreted by the Lamanites as a bad omen. It is therefore no accident that the Lamanite king Amalickiah chose New Year’s to engage the Nephites in battle (Alma 51:32–52:1). The Nephite general Teancum took advantage of the situation by slaying Amalickiah on New Year’s Eve, precisely when the underworld lords would have been believed to be their strongest. When the Lamanites awoke the following morning, expecting a divinely sanctioned victory, they found instead their king and protector dead. It is no wonder, then, that they fled in terror. Halverson felt that this story illustrated the importance of minute details. 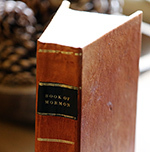 “The seemingly small details in the text of the Book of Mormon matter.” The exact date of the event is a seemingly minor point, but Mormon goes out of his way to include it. It must have been important. No better day could have been chosen by Teancum for his slaying to have the maximum amount of negative impact on Lamanite morale. Hence, no act could be more psychologically demoralizing to an opposing army than to find their king dead on New Year’s Day. Teancum chose New Year’s Eve to assassinate Amalickiah. He sought to win a massive psychological victory against the Lamanites by sending a message of disaster, despair and fear. To listen to a podcast on this topic, click here. The wording and punctuation here slightly varies from current editions of the Book of Mormon but follows Royal Skousen, ed., The Book of Mormon: The Earliest Text (New Haven, CT: Yale University Press, 2009), 464. Robert F. Smith and Stephen D. Ricks, “New Year’s Celebrations,” in Reexploring the Book of Mormon: A Decade of New Research, ed. John W. Welch (Salt Lake City and Provo, UT: Deseret Book and FARMS, 1992), 209. John L. Sorenson, An Ancient American Setting for the Book of Mormon (Salt Lake City and Provo, UT: Deseret Book and FARMS, 1985), 275. 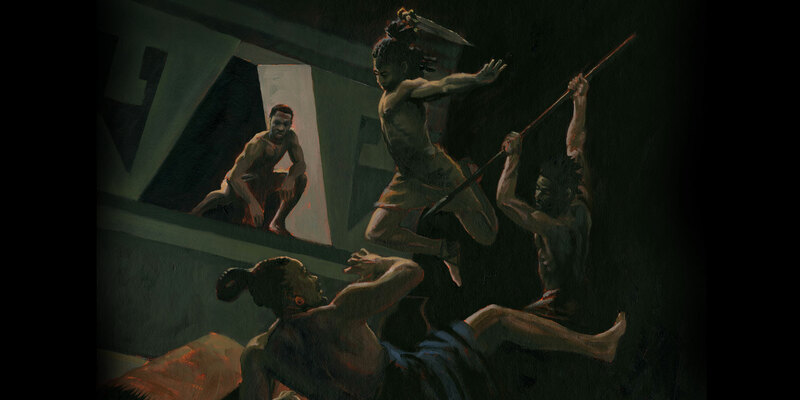 Also see A. Brent Merrill, “Nephite Captains and Armies,” in Warfare in the Book of Mormon, ed. Stephen D. Ricks and William J. Hamblin (Salt Lake City and Provo, UT: Deseret Book and FARMS, 1990), 275; John L. Sorenson, “The Book of Mormon as a Mesoamerican Record,” in Book of Mormon Authorship Revisited: The Evidence for Ancient Origins, ed. Noel B. Reynolds (Provo, UT: FARMS, 1997), 410; John L. Sorenson, Images of Ancient America: Visualizing Book of Mormon Life (Provo, UT: FARMS, 1998), 166; John L. Sorenson, Mormon’s Codex: An Ancient American Book (Salt Lake City and Provo, UT: Deseret Book and FARMS, 2013), 194, 441. All quotes from Christenson come from Allen J. Christenson, “Maya Harvest Festivals and the Book of Mormon,” Review of Books on the Book of Mormon 3 (1991): 30. Also see Allen J. Christenson, “The Dance of First Beginnings: Contemporary Maya Creation Rituals in a World Context,” BYU Studies 39, no. 2 (2000): 150–172.